A completely restored home in the quiet residential area of the old city (Medina), Riad Ariha has the peaceful feeling of the past combined with modern comfort. The atmosphere is one of harmony, simplicity and relaxation. Furnishings are simple yet elegant. 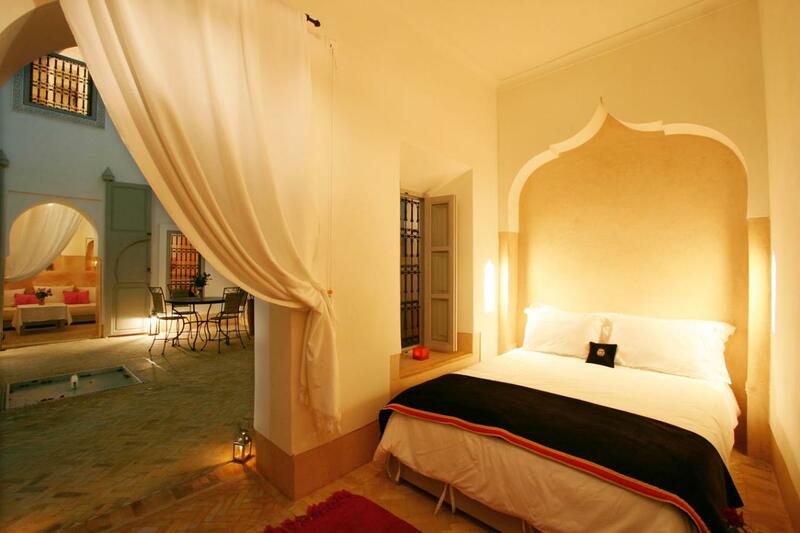 The riad has a inner courtyard fountain, a dipping pool with a wall fountain to refresh you during the warmer days. The Salon has a fireplace for the cooler months. 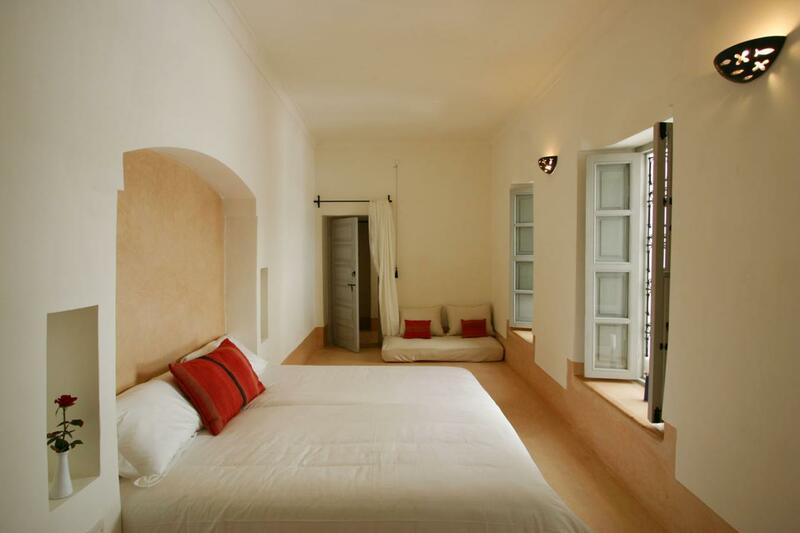 The riad has 5 bedrooms, each with its own en-suite bathroom with shower. In one bathroom that has both a shower and a bathtub, you can recline in the bathtub and admire the dome above with light filtered through the glass stars. 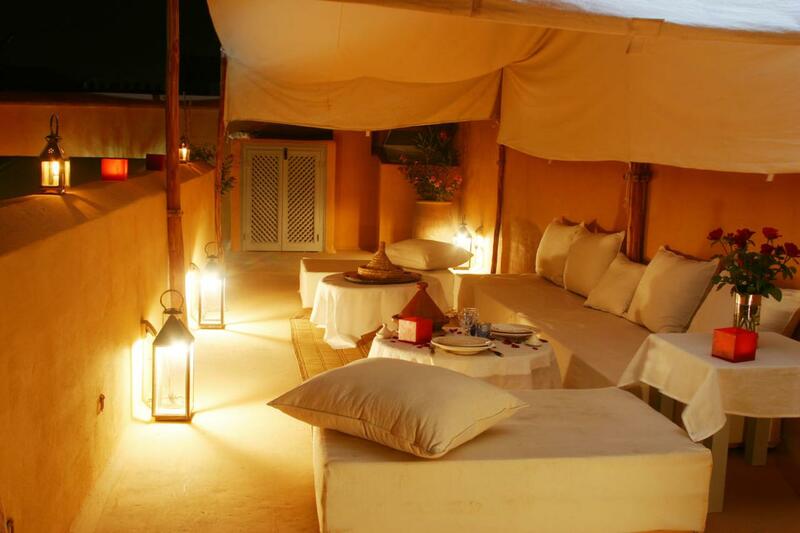 The Riad has also a roof terrace, Hammam, Moroccan cuisine and beautiful views from every angle. Each room is air conditioned for the summer heat, and has heating for the cooler winter evenings.